With the exception of the rudimentary Simcoe Plan created in 1793, the concept of city planning didn't really gain traction until the 1940s. This is one reason that Toronto was such an unorganized mess in the 1900s. There was no plan for growth, no frameworks for transportation, and no guides on how cities should be designed and constructed. Even the streetcar network, which was built between 1870 and 1930, was a result of Toronto becoming a more industrialized manufacturing city and not down to planning policy. 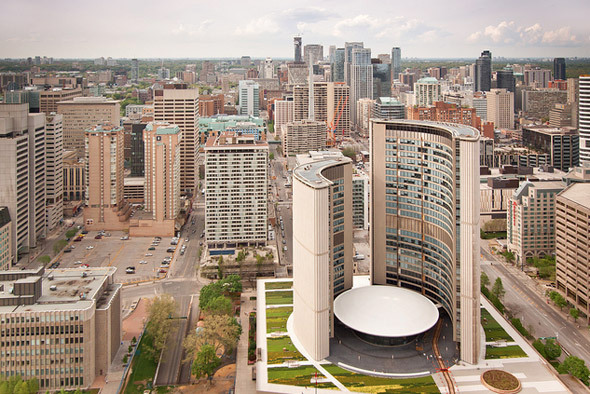 After World War II, Toronto's postwar growth strategy focused on the future of cars and highways, which created the suburbs all around Toronto. The automobile, as well as planned infrastructure, allowed cities to grow horizontally (urban sprawl) rather than vertically. In economic terms, the supply of land was able to keep up with the demand for housing. Thus, home prices stayed in line with average household income. Fast forward to today as more and more people are moving back into the downtown core. Single-family home prices are the highest they've ever been in Toronto and average household income has not kept up with the pace. This makes sense from an economic perspective because the supply of land is now limited and has not been able to keep up with the demand for single-family housing. Julius Tang is a co-founder of TurnKii, a Toronto-based company providing an all-in-one tool and service to support everyday landlords/real estate investors.